He was born on July 3, 1967, in the city of Zheleznovodsk, Stavropol, Russia. He graduated from the Stavropol Art College in 1986. From 1986 to 1988 he served in the Soviet Army. From 1988 to 1999 he worked as a drawing teacher in the schools of the city of Stavropol. The first caricature was published in the Stavropol newspaper “45 parallel” in 1990. Published in Stavropol newspapers “45 parallel”, “Provincial Gazette”. “The Black Corsair” by E. Salgari. Took part in Russian and foreign exhibitions. 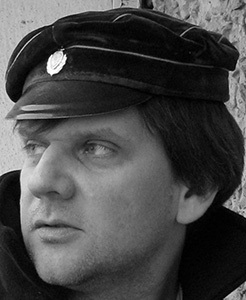 Since 1999 he is an artist in different animation studios of Moscow. “Knyaz Vladimir”, “The Song of the Stormy Petrel” and many others.